Two years after revealing that some locally available Nissan vehicles are affected by the global Takata airbag recall, Nissan Philippines, Inc. (NPI) is reminding its customers to have these effective airbags replaced. Through the service campaign, Nissan customers can have their airbags replaced at their Authorized Nissan Dealership of choice at no additional cost. The ongoing service campaign continues to address any potentially affected vehicles in Philippines. 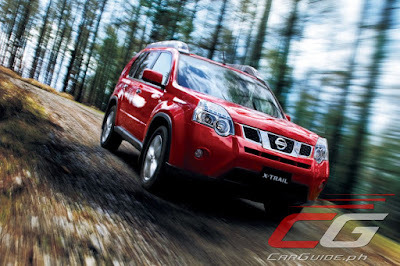 Affected models and production year include the Nissan Grand Livina from 2008-2014, Nissan Navara from 2007-2014, Nissan Frontier from 2003-2008, Nissan Teana from 2006-2007, and the Nissan X-Trail and Nissan Patrol Super Safari from 2003-2012. Customers with the aforementioned models are encouraged to visit the Nissan website and input their 17-number Vehicle Identification Number (VIN) or Chassis number to determine if their vehicle is affected by the issue. Affected customers can also call the 24/7 Nissan Customer Assistance Center (NCAC) hotline at 02 403-65-93 or 63 927 600 9557 or visit an authorized Nissan Dealership nearest them.